Thought it'd be great to create a topic about the pro swimmers at Cal (Adrian, Murphy, Pebley, Prenot, Shields, Vollmer, Franklin, Osman) during the NCAA seasons. This way, it won't clog up the college swimmer's spreads. Currently, most of swimmers are at the Pro Swim Series in Austin & are winning points for their swim squads and preparing for Nationals. Just saw the SwimSwam report on Missy moving on to train with UGA and Bauerle. Wish her all the best in her recovery and progress, though a smidgen sad to think of her leaving behind her Cal bro roommates and the greater programs as a whole, but cheering for her! Any idea or thoughts if this potentially might impact recruiting? "Starting the new year with a cross-country move from Northern California, where she was attending the University of California in Berkeley, was a huge decision for the 22-year-old from Colorado. Although happy training under Cal men's coach Dave Durden, Franklin longed for the support her extended family in Georgia could provide and the chance to be around a women's and men's team run by one coach." "When she was considering colleges after her breakout four golds performance at the 2012 London Olympics, Georgia was runner-up to Cal." Franklin remembers walking into Durden's office at Cal to tell him she was moving on, and she felt good about it. "I can truly say I don't know if I would still be swimming if it wasn't for Dave Durden," she said. "He's one of those coaches that want the best for me." Definitely think that this will benefit UGA's recruiting, as they are building quite the pro group. It might harm them if she doesn't do as well under Baurele, but I doubt it will harm their program as much. Slightly off-topic, but just wanted give a quick nod to our trio of HK Bears here - Camille, Stephanie & Yvette. No longer based @ Cal, actually I'm not sure if our HK alumna are even swim pros either - but all three are still on Hong Kong's National Team, and actively involved in swim competitions at the highest level. 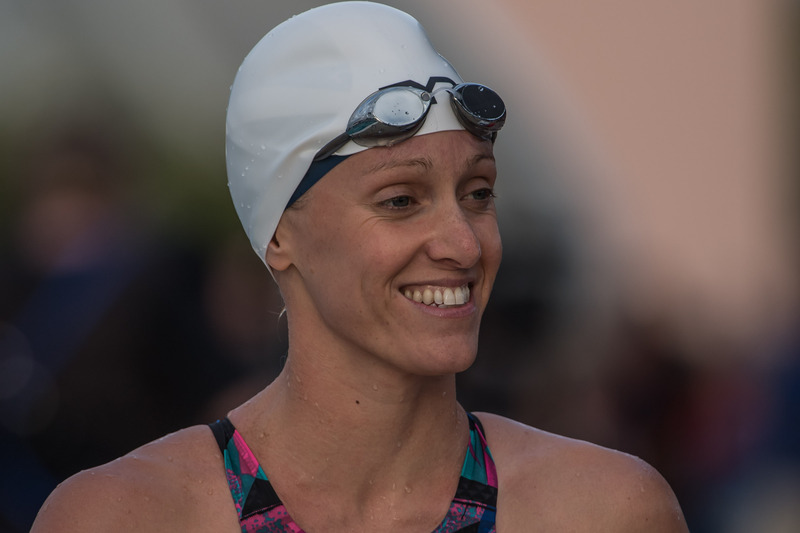 But outside of the podiums and A-finals, there was an undercard storyline: the return to competition of one of the great swimmers of her generation Dana Vollmer. Austin was Vollmer's first competition back after the birth of her 2nd child Ryker Alexander Grant on July 4th. Vollmer finished 16th in prelims of the 50 fly (27.53) and 24th in prelims of the 50 free (26.37). 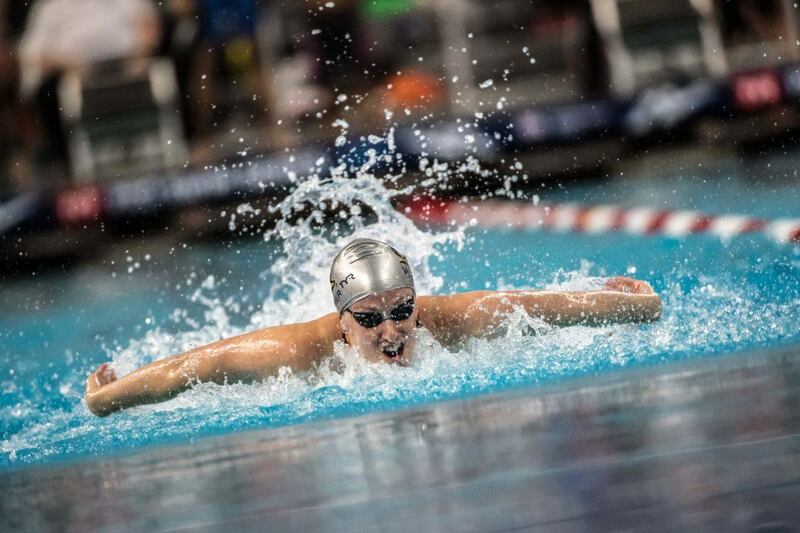 Neither time ranks high in her all-time personal bests, but both swims show that she's on her way back toward the U.S. National Team, if she continues to pursue it. In her only swim of 2017, she swam a 27.59 in the 50 free at the Pro Swim Series Mesa, while 26 weeks pregnant. Thought it'd be great to create a topic about the pro swimmers at Berkeley (Adrian, Murphy, Pebley, Prenot, Shields, Vollmer, Franklin, Osman) This way, it won't clog up the college . Cal pro swimmers, not "berkeley pro swimmers." Support the brand, please! Go Bears! Our famous "Momma on a Mission" Bear does look stunningly elegant & lush here! 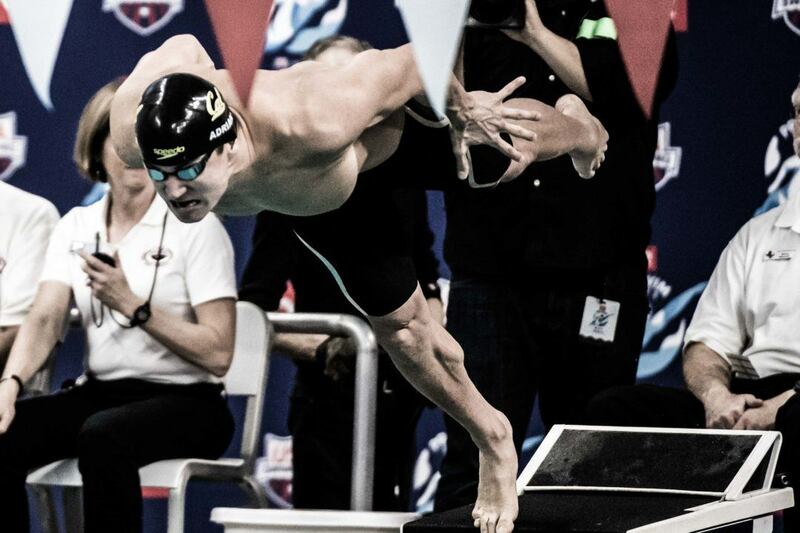 When Jacob Pebley touched the wall in the 200 backstroke final at 2016 Olympic Trials and saw the number 2 beside his name, the first person he thought of was his mom, Cathy. He did the same thing after he won the bronze medal in the same event last summer at FINA World Championships in Budapest. It's become a common practice at most of his meets the past few years. After all, it was his mom who passed away from cancer in 2006 who drove him and his brother to swim practice every day, made them big breakfasts before swim meets and encouraged them to follow their dreams in the sport and life. "I think about her every time I jump in the pool," he said. "It was incredibly hard losing someone who wanted me to succeed probably more than I wanted it myself. I think when she passed, I gained her vision for my success and took it with me to the pool every day. "It made qualifying for the Olympics incredibly emotional for me. 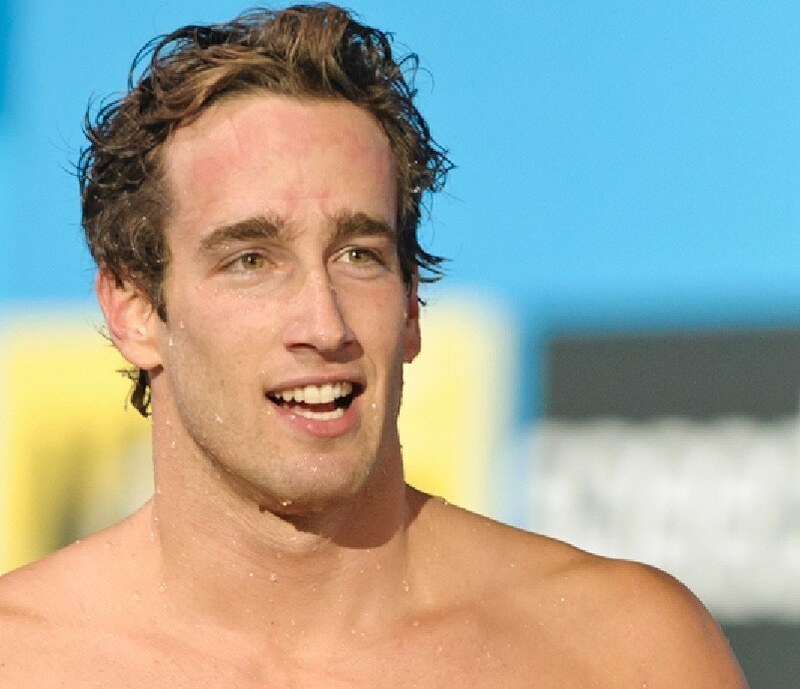 I saw my name on the scoreboard having qualified and my mind jumped back to me and her on the couch watching Aaron Peirsol qualify in 2004 when I first thought about becoming an Olympian." A lot has happened in Pebley's life since he made his first Olympic team. He said the past few years have been surreal almost like's been going up a steady staircase. He attributes that to his coaches getting him to focus more on the day-to-day grind rather than the big goal at the end. But he's experienced some personal milestones over that time as well, most notably getting married last August to his wife, Nicole. Like many couples, they met on a dating app and communicated online for a while before finally meeting a day that changed his life forever. "It was quite the day when we decided to finally meet in person and we were both wondering if the other person was real or if we were going to get 'catfished,'" he said. "She was a student-athlete at Cal so we met in Berkeley at her friend's house and hit it off. The rest is history. "The wedding was incredible. We got married by a river we both grew up going to with our families, so it was a really special place for the two of us." Pebley's first Olympic Trials experience was in 2012, and he described it as being "interesting." He got really sick a couple weeks before the meet and actually wasn't able to swim for three or four days a week before he left for Omaha. 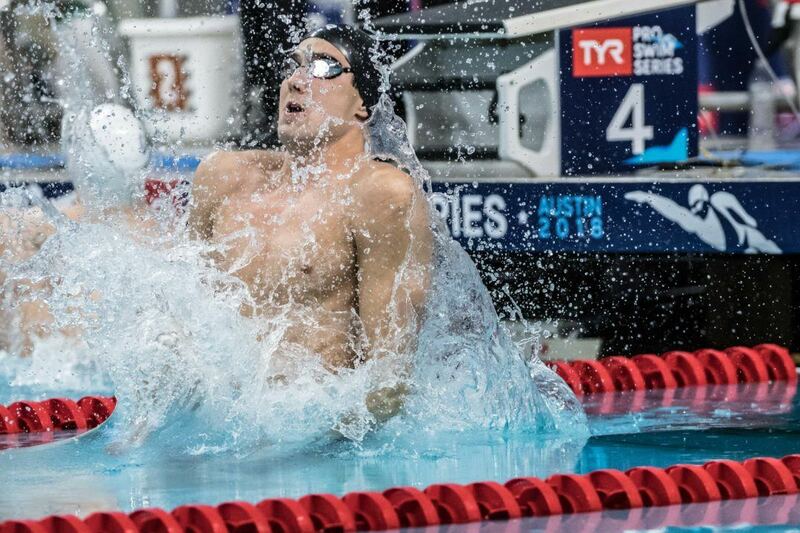 While not being able to train much, he also lost 10 pounds and ended up scratching the individual medley races so he could focus on his backstroke events. 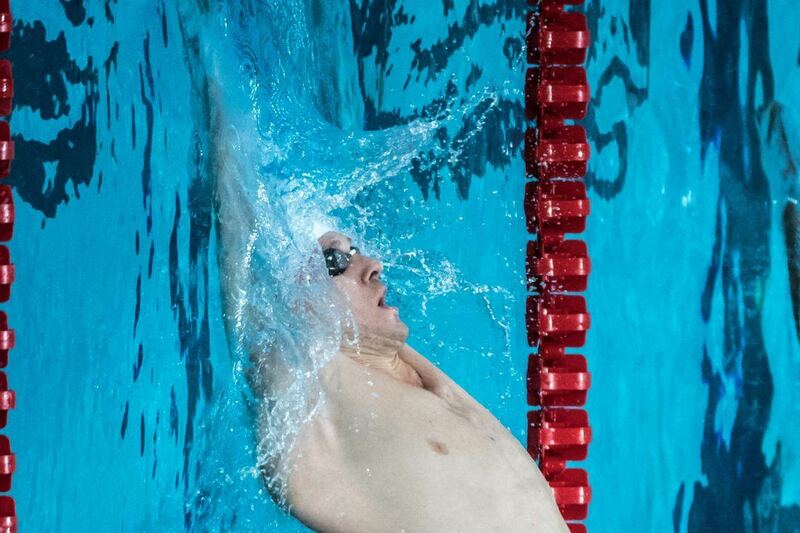 He tied for 17th in the 100 back but moved into the semifinals when two swimmers ahead of him scratched the event. In the 200 back, he made the final, finishing 7th and proving to him that he could swim well even when he wasn't at his best. "Knowing that I could do pretty well when I was at my worst gave me a lot of confidence four years later when I was much stronger and healthier," he said of his 2016 Trials performance. 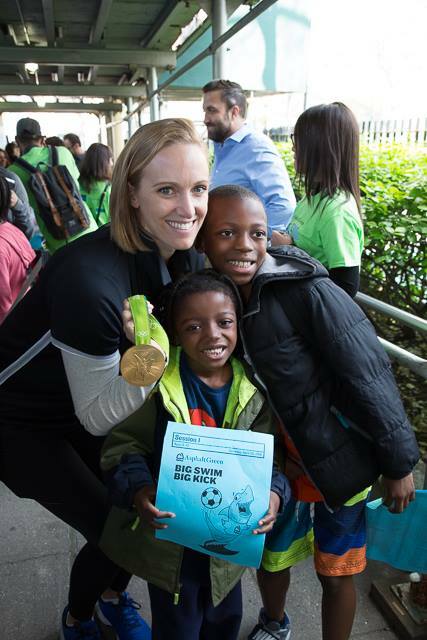 "Becoming an Olympian was always a dream I had had since I was about 10 years old. I would say the day I made the team, it still felt like a dream." 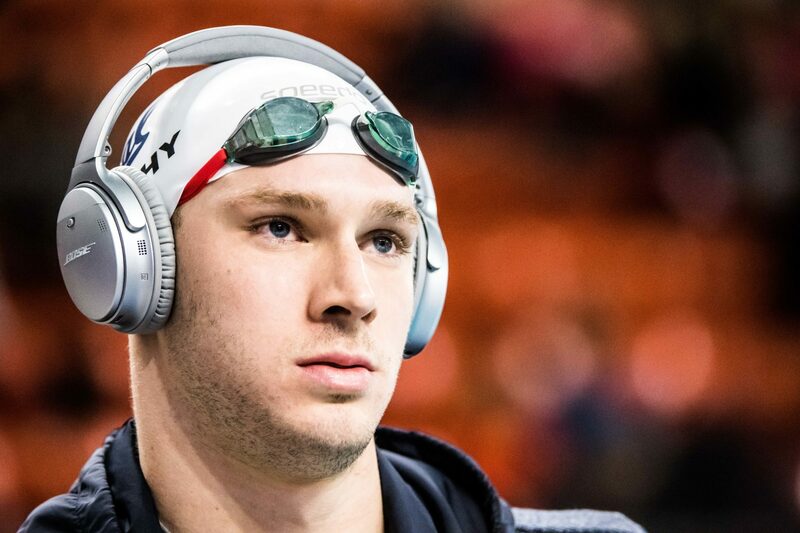 Even after earning his spot on the plane to Rio, Pebley said he never fully comprehended the gravity of what he had accomplished until he swam in the 200 back final at the Olympics. To know that millions of people were watching that race was incredible and the most pressure he said he has ever felt impacting his performance but proving to be a great learning experience for him. "Looking back, I probably took that pressure too seriously and didn't relax enough," said Pebley, a five-time medalist at two World University Games (2013, 2015). "I definitely am burning for another shot because I know how much I learned from that experience, and I know I will thrive when the opportunity comes again." Over the next year, Pebley dedicated himself to making the U.S. World Championship team in 2017 and finding his way to the podium. It was really what he was fixated upon from the end of Rio to his swims in Budapest remembering the feeling of seeing his friends and teammates in Rio sporting their hardware and him wanting to do the same in the future. 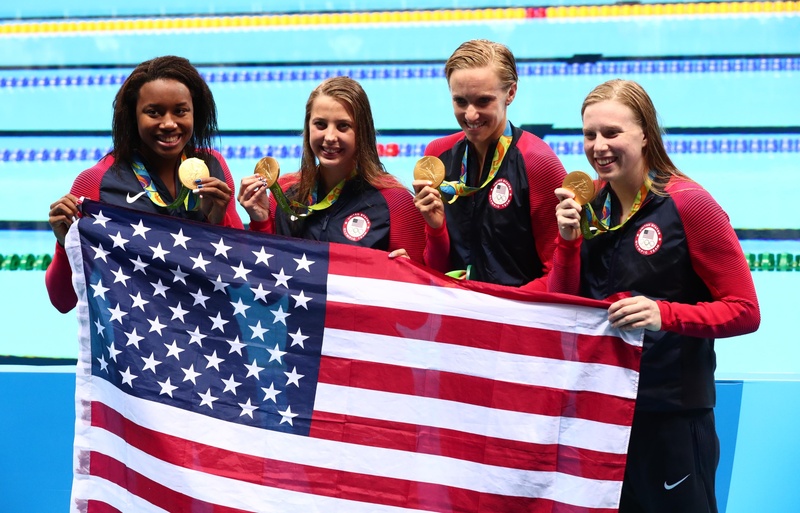 "It was extremely tough going back to the Olympic Village in a dorm with Tony Ervin (Olympic Champ), Nathan Adrian (four medals), Ryan Murphy (three golds), and Josh Prenot, who just missed being an Olympic champion himself," Pebley said. "I felt like I had something to prove." Having accomplished his goal in Budapest and married his best friend, he and Nicole are now focused on her getting into medical school she wants to be a surgeon and choosing a new place for them to live. She has been accepted into a couple of programs so far, and ultimately this means they will be leaving the Bay area (Pebley stayed in the area to live and train after graduating from Cal in 2016) at the end of the season. Fortunately for him and his future in swimming, both locations have great swim programs he can join to continue moving his training forward even though it will be hard to leave the place he and Nicole have called home for the past 6 seasons. 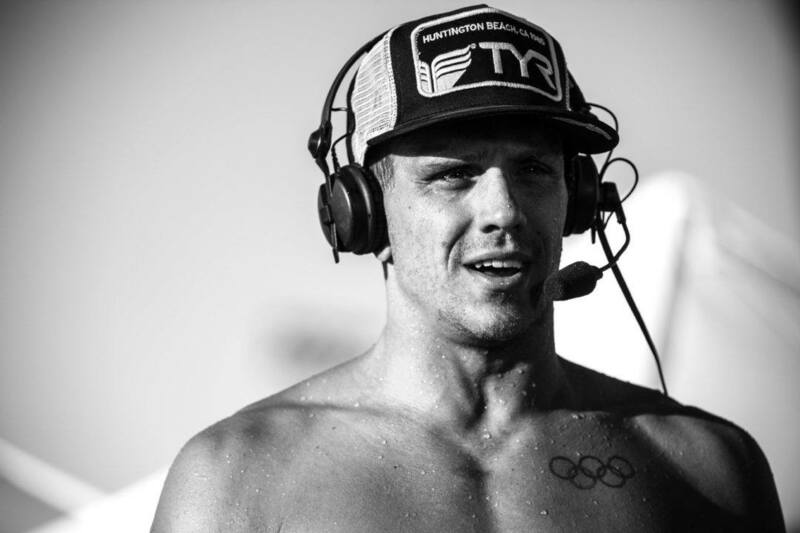 And while he's given some thought to his life after swimming using his psychology degree and competition experience in a potential coaching position somewhere for the time being, Pebley is focused on continuing to get the most out of his career in the water. His motivation now involves finding new, innovative ways to be more efficient. He's become more of a video nut, analyzing so many little things to find ways to get better. 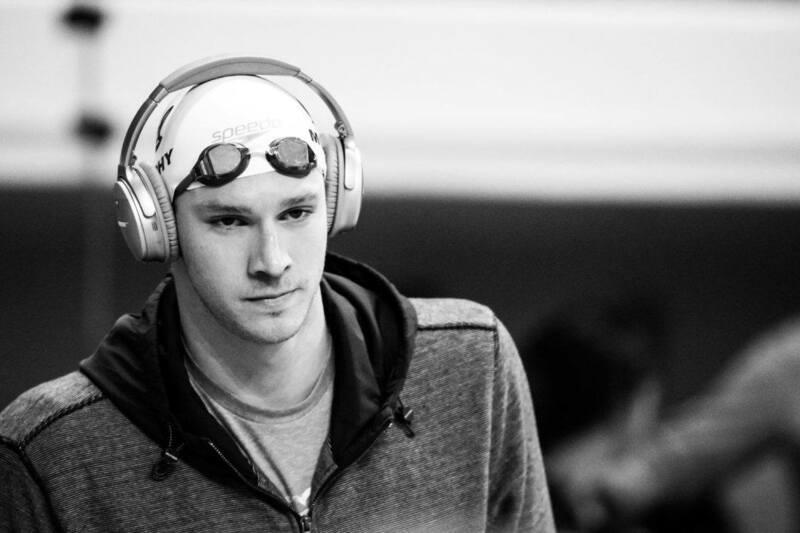 "As of right now, I want to swim at least until 2020 because I feel like I haven't come close to my prime athletic ability and I want to push myself in this sport until I am satisfied I have reached that point," he said. "Josh (Prenot), Ryan (Murphy) and I were talking after practice a few weeks ago, and we were laughing about how cool it would be if we were still competitive enough in the sport to make the Los Angeles Olympic team in 2028. I don't know what will happen in 10 years, but I do know it would be a dream to either compete in that Olympics or at least give it a try. "I have diversified my life, and swimming isn't my only passion, and that keeps me motivated and the sport stays fresh for me. I now have a family between my wife and our dog and a new hobby rock climbing that I love almost as much as swimming, and I know what I want to do when I am done competing. I wouldn't say I am concerned about being done because I have so many other things to look forward to." I believe Nicole is the former Nikki Owens who played on Cal's softball team for 1 or 2 year but for some reason quit or was dismissed from the team. Smart girl! btw quite a few of our Pro Bears (mostly the Bros) are also down in McAuley Aquatic Centre for the PSS meet. As is Farida (seeded #12 after this morning's heats of the 100m Fly), who flew down to ATL with asst coach Dunleavy. Quick cursory update of Day 1 Finals (still in progress) - hope bearz012 or someone nice can help to flesh out all the juicy stats & details worthy of mention later on? Farida won the B final (there are 4 final heats per event?) of the 100m Fly with a 59.01. That time would have placed 6th in the A final. Shields 8th in the men's race (54.58). Nathan took charge of the 100m Free, only A finalist to break 49 sec (48.58). Murph 4th with a 49.55. Pebs12th overall in 50.45. Josh finished 3rd in the 200m Breast (2:10.43), behind a pair of Horns. Farida led from start to finish and dropped a 59.01 to win the B final, which would have put her 6th overall. In the A final, Tom dropped a 54.58, slower than his prelims time of 53.79 to place 8th in the A final. Despite being 6th at the turn, he only mustered a 29.28 on his way back. Josh placed 3rd with a 2:10.43 behind two horns, Andrew Wilson & Will Licon, though he outsplit them both on the final 50. Behind him were Kalisz, Fink, Miller, and Cordes. Nathan dropped a 48.58 to lead from start to finish. His last 50 of 25.16 was considerably faster than most of the field. Ryan went past Bruno Fratus to finish 4th in 49.55. Prenot put up a solid time of 4:18.58 to place 2nd behind Kalisz. Farida placed 3rd with a 25.29, right behind Smoliga & Margo Geer, and out-touching Lia Neal. Nathan nearly ran down Michael Andrew, but wound up 2nd with a time of 22.09. In the morning prelims, Tom placed 64th with a 26.17. Pebley flipped first at the 100 mark, but Murphy overtook Pebley to place 1st, going a 1:55.46, breaking his own pool record from 2016. Pebs placed 2nd with a 1:55.85. Thanks for the updates & videos! Oh, Jeremy Bagshaw may not train @ Spieker any longer, but did race the 200m Free tonight, taking 6th in a 1:50.66 in the A final. Sort of OT - watching the broadcast on DVR now, sort of sad (for us lol) hearing Taylor Ruck proclaim in her post-race interview that Missy was her idol growing up, esp. since she ended up committing to LSJU (after having taken an unofficial trip here). btw Canadian recruit (2019?) Jade Hannah finished 3rd in the A final of that 200m Back. Good to see KRISTEN VREDEVELD. She is in Atl now. Has she retired? Missy now in Georgia now & Kristen were roommates at Cal. Wonder if they are roomies again. Wasn't sure where to place these instas...reckon this thread's as good as any! Duje Draganja (men's swimming, 2002-05) Draganja was a three-time Olympian for his native Croatia, winning a silver medal in the 50-meter freestyle at the 2004 Athens Olympics. 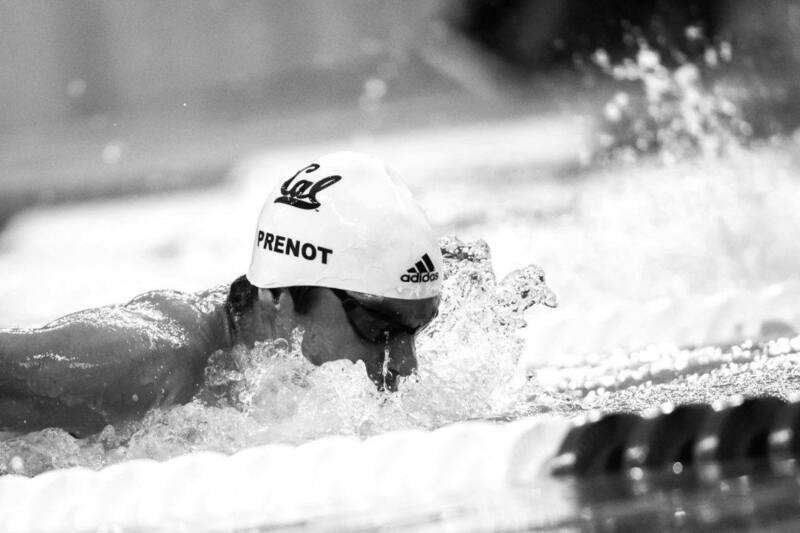 He captured eight NCAA titles during his Cal career, including back-to-back wins in the 100-yard free at the 2003 and 2005 NCAA Championships. He also earned five individual and 10 relay victories at the Pac-10 Championships. 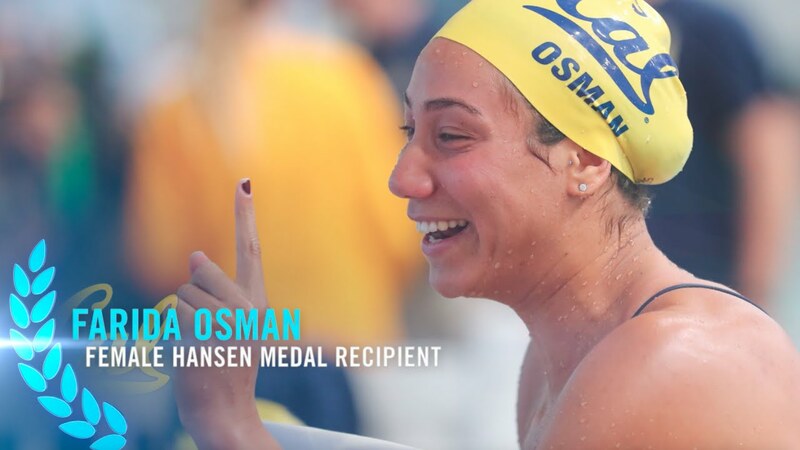 Named the 2005 Pac-12 Swimmer of the Year, Draganja set a then-NCAA record of 41.49 seconds in the 100 free at the 2005 NCAA meet and that swim still stands as second in Cal history behind only Nathan Adrian. red_dot_running: That's almost a @calwswim relay team! Morning Splash by David Rieder. Madison Kennedy finished third at Olympic Trials. In 2016, at 28 years old, she had her best shot at making the exclusive Olympic team in the 50 freeshe entered the meet with the top 2016 time of any U.S. femaleonly to come up short. Kennedy finished two tenths behind Trials winner Abbey Weitzeil and 15-hundredths behind runner-up Simone Manuel in the 50 final. Both women, teenagers at the time, had already qualified for the team in the 100 free, but not Kennedy. She trained for seven years after college and then waited until the last day of the meet for that gut punch. That brutal gut punch. Two years later, Kennedy is 30 and married. 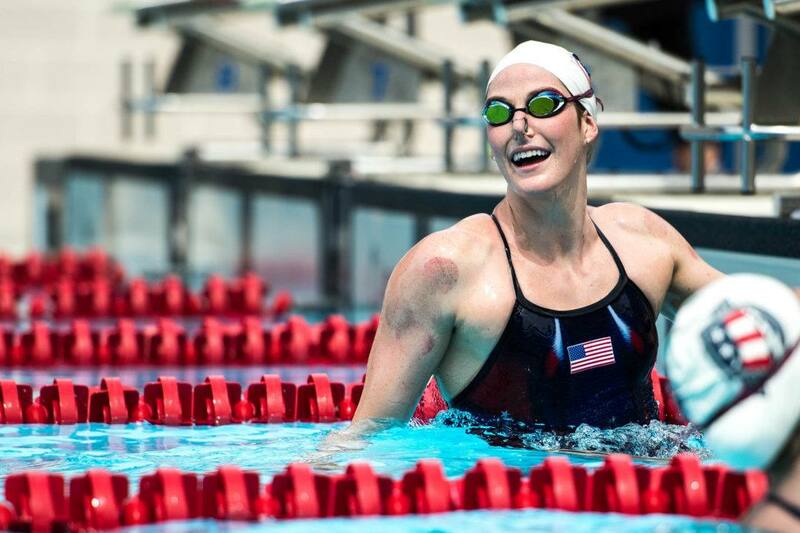 She still lives in Charlotte, where she first moved to train with David Marsh and his elite squad at SwimMAC Carolina. She's still swimming, but not with a high-profile professional squad. And as for regrets: "No--and that's not just a canned response," Kennedy said. Kennedy is not one for canned responses. She's something of a free spirit, at least by the standards of a relatively buttoned-up sport like swimmingrainbow hair and all. She's stubborn, and she admits that. So she will live with the results of doing things her way. "Maybe people would say, 'She could have trained more. She could have done this more,'" Kennedy said. "Maybe even David would say that. Maybe even Teri (McKeever, who coached Kennedy at Cal) would say that. Maybe even my parents would say that." In her solo quest, Kennedy relied heavily on some of the tactics she picked up from her previous coaches, particularly McKeever and Marsh. Kennedy reflected on how McKeever drilled confidence into her swimmers to perform under any circumstances. "I was like, 'Dang, she was teaching all of this stuff so long ago,' and most of us don't ever really get to implement that," Kennedy said. "Just to listen to yourself, to think about what you really need to do and be a strong person--it doesn't matter if you are a strong woman, strong man, strong whateverjust be yourself, strongly." 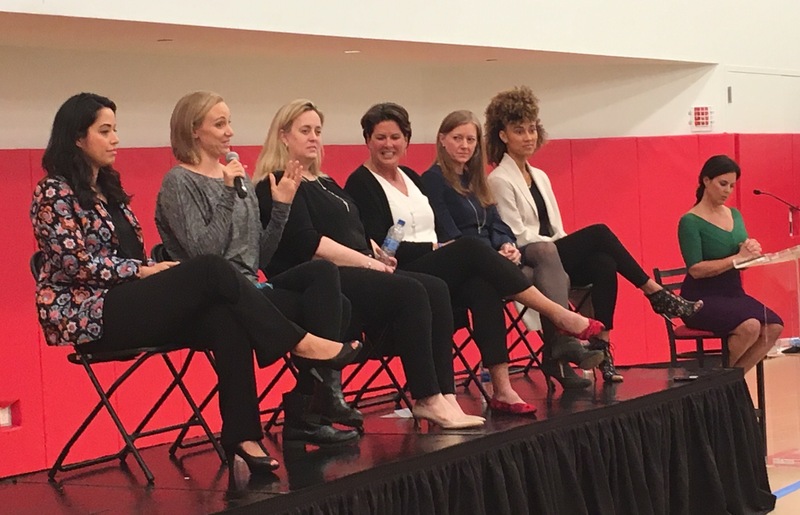 Kennedy was a personality psych major at Cal, and she sees herself eventually pursuing a Masters degree in that field--and her current sales job at Lululemon, Kennedy said, is "for sure a study in personality psychology." But in the meantime, she's going to keep swimming and showing up to big meets throughout the year "as long as I can." Camille's into the 100m Free final with her 56.47! Camille finished 5th fastest in the 100m Free final with a 55.39. Highest placed swimmer who's not from the 2 powerhouse swim nations of China & Japan. Quah led off Singapore's bronze medalling Men's 4 x 200m Free Relay. WOMEN'S 4 x 200m FREE - Camille Cheng takes Team HK from 5th to 3rd on the 2nd leg, helping her teammates to a bronze medal! MEN'S 100m FLY - Quah takes 4th. MEN'S 4 x 100m FREE - Quah leads Singapore off to a *BRONZE* medal! MIXED 4 x 100m MEDLEY - Bears Stephanie on back leadoff + Camille anchoring on the free leg, propels Hong Kong to 4th place, just off the podium. Stephanie had also qualified for the 100m Back finals, but dropped it in order to help her teammates on the relay. WOMEN'S 50m BREAST - Yvette Kong had v. narrowly missed qualifying for finals by a mere 0.04 sec, ending up in the 9th spot during the morning heats. MEN'S 200m BACK - Quah had originally qualified from prelims, but dropped out of finals. WOMEN'S 4 x 100m MEDLEY - Stephanie (leadoff => new *HK national record* in the 100m Back!!! ) + Camille (anchor), earns a *SILVER* medal for Hong Kong!!! China & S. Korea were both DQ'ed. Team HK actually were only behind Korea by less than a tenth of a second, and 6 & a half sec ahead of 3rd place Singapore! (Japan won with a new Games record).